There is a vacancy for a PhD position in medical imaging at the Department of Physics and Technology. The position is for a fixed-term period of 3 years and is associated with the project «Visual Data Science for Large Scale Hypothesis Management in Imaging Biomarker Discovery – VIDI» (https://mmiv.no/visualdatascience/) at the recently established Mohn Medical Imaging and Visualization Centre (http://www.mmiv.no). The project is financed by grants from the Bergen Research Foundation and the University of Bergen. The imaging infrastructure available to the project includes three state-of-the art 3Tesla MRI systems (GE 3TMR 750 Discovery, Siemens Prisma 3T, Siemens Skyra 3T), and a complete PET Centre including in-house radiopharmaceutical production of PET tracers and new MR/PET and PET/CT (Siemens Biograph mMR PET/MR, Siemens Vision PET/CT). Additional small animal imaging facilities (7T MRI, PET/CT, US, OI) and a national platform on NMR spectrometers (850MHz, 500WB, AV600, AV500) are available on campus. 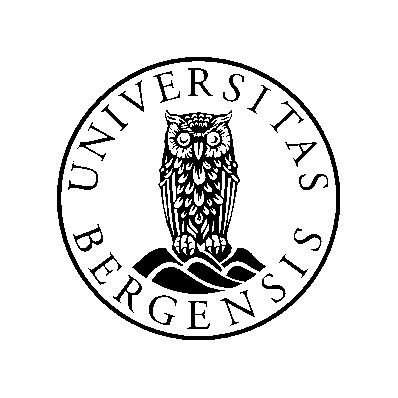 The work will be done in a highly interdisciplinary research environment, and the candidate will be a member of the Bergen fMRI group (https://www.uib.no/en/rg/fmri ), an interdisciplinary research group with 25 years of imaging research experience. The aim of the project is to obtain reliable and robust quantitative measures of in vivo physiology obtain using 3Tesla clinical MRI. A particular emphasis will be on imaging diffusion and dynamic image time series to study properties of local microstructure/ microvasculature in the human central nervous system (CNS). The project will aim at developing and evaluating tools to investigate patients enrolled in clinical trials of novel therapies in neurology/ neurooncology. To increase success rate, supplementary PET (or hybrid MR/PET) will be appended. Salary at pay grade 51 (Code 1017/Pay range 20, alternative 9) in the state salary scale. This currently amounts to an annual salary of NOK 449 400 before taxes. Further promotions are made according to length of service in the position. Applicants must hold a master's degree or the equivalent in physics, statistics, neuroscience or related fields, or must have submitted his/her master's thesis for assessment prior to the application deadline. It is a condition of employment that the master's degree has been awarded. Very good programming skills (eg python, C/C++) is a requirement, as is experience with basic statistics and handling of experimental data. Experience from MRI image data acquisition, modelling or processing, in particular perfusion or diffusion imaging, is an advantage. Experience from conference presentations in the field is valuable. Applicants must be able to work independently and in a structured manner, and demonstrate good collaborative skills. Applicants must be proficient in both written and oral English. Personal and relational qualities will be emphasized. Personal motivation and potential will also count when evaluating the candidates.